Scarlett's family runs an awesome old hotel in NY. But there are downsides to living in a hotel, especially when business isn't so good. When Scarlett is put in charge of the Empire Suite and any guest who stays in it, she thinks she is in for a boring summer. But then someone checks in. You will love Spencer. That is mostly why you should read this book. He is awesome. Jacob and I walk around the house singing Spencer's morning rap (found in Ch 1). The rest of the book, the non-Spencer parts, pretty good too. 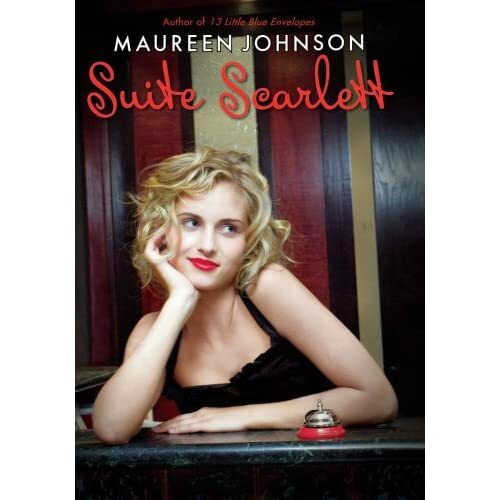 There's a bit of romance, a bit of revenge, and some great red lipstick. MJ always makes me laugh. What bothered me most about the book was that Scarlett and her siblings seem to think that their parents (who seem pretty cool to me) need to be kept in the dark. But that's a pretty fair trade, since Spencer is so awesome. 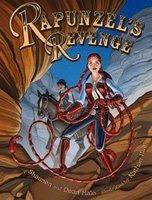 To celebrate the release of their graphic novel Rapunzel's Revenge, Shannon and Dean Hale, and their illustrator Nathan Hale, along with the King's English Bookstore and SLC Public Library system hosted a fabulous event in Salt Lake City last weekend. 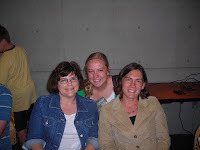 The event was star-studded with appearances made by six YA authors from Utah (not counting Shannon and Dean Hale) which resulted in a book-signing frenzy extraordinare. Okay, so perhaps I'm exaggerating a little, but hey, call it poetic license. 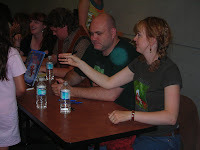 Shannon, Dean, and Nathan, with a few props and a friend or two did a dramatic reading of some key scenes in Rapunzel's Revenge after which each of the guest authors were introduced and asked about their past and present novels and projects. Highlights include watching Dean stage a cross-dressing Jack, Nathan's wild boar impression, Shannon's struggle to control her home-made Rapunzel braids, James Dashner telling everyone his ideal "reality" could be a reality in which nobody wears clothes (how many disturbed mothers of young children do you think complained to the library afterwards? ), Sara Zarr constantly laughing at James Dashner's whispered commentary, Jessica Day George's comments on how much more fun and free it was to write her own fairytale instead of re-writing somebody else's, Kimberly Heuston celebrating two weeks of being an officially full-time author, Mette Ivie Harrison's cool bookmarks publicizing the sequel for The Princess and the Hound, and my involved "teacher" conversation with A.E. (Ann) Cannon. Of course, being me, I walked out with a very large stack of books and a very empty wallet, but how can you pass up these kinds of opportunities? I am now the proud owner of signed copies of Sara Zarr's highly acclaimed Story of a Girl, James Dashner's The 13th Reality (with "Teacher's Rock!" written in silver sharpie on the inside cover), Rapunzel's Revenge with a cool picture of cowboy boots from Nathan Hale and a message from Dean Hale that says I'm cooler than anybody knows backed up by Shannon Hale, A.E. Cannon's A Loser's Guide to Life and Love signed specifically for my future students, Jessica Day George's first original fairytale Dragon Flight, and Mette Ivie Harrison's The Princess and the Hound which is swiftly becoming a favorite. Bottom line: watch for some major book review action from my side of the country! Now, Alysa told me to shamelessly take pictures, but my camera was not exactly cooperating, and I was more concerned with juggling my books and getting everything signed, and talking to the authors as opposed to blinding them, so what you see is what you get. There's one of Shannon and Dean busily signing away, one with Sara Zarr, me, and Mette Ivie Harrison, and a short video (I hope it works) of part of the dramatic reading performance. Note: a longer version of this video is available on the post Rapunzel's Roundup: Extended Edition. :) Also, I've added an affiliate link below, so you can shop easily. 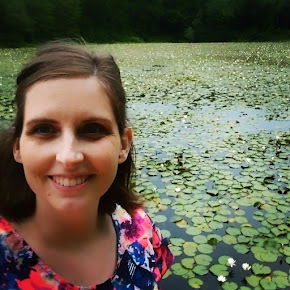 - Alysa 10/16/2015. I loved this book! Love, love, loved it! So even though things are still a bit hectic with the move I couldn't resist telling you about it. It's about a bunch of smart kids who have to band together to stop evil. They come from all different walks of life, but have some strange similarities. It's wholesome, mysterious, hilarious and sharp. One of my favorite parts comes right near the beginning. I don't have the book on me, so I'll just tell it how I remember it: "'Anyone caught cheating will be executed.' The children gave a gasp. 'Oh, I'm sorry, did I say executed? I meant escorted from the room..."
I also loved the artwork -- the cover art is what drew me to the series in the first place. I couldn't stop looking at the cover of the second book and so I had to find the first book. Its cover and chapter-heading illustrations are excellent. I especially appreciate the calligraphy -- gorgeous! And of course the book is tasty too. I haven't read the second installment yet, but you can bet I'm going to. This is one that I'm looking to add to my personal library very soon! The novel tells the story of a girl who finds herself collecting books in the middle of WWII Nazi Germany. You find that you can measure important parts of her life by the books she collects. She is a blonde, blue-eyed German so she’s safe from the fate of most holocaust novel heroines, but her adopted father doesn’t agree with all the Nazi practices. In fact, at one point in the novel they harbor a Jew in their basement. The book includes the theft of a book meant to be burned in one of the infamous Nazi book-burnings, the exploits of a neighborhood boy who idolizes Jesse Owens (not a popular guy with the Nazis…), and the bombing of the little girl’s town. In my opinion, the book doesn’t lend itself well to summary, you’ll just have to read it. The most intriguing part of this book for me is the narrator. It takes you a few chapters to figure it out (if you haven’t been informed) that the narrator is death. It’s a very interesting personification. Most authors use an omniscient narrator, a first-person narrator, or at least another character acts as the narrator, but because death is a character in every life, Zusak presumes that death will work well as a narrator. His presumption isn’t always correct. Parts of the book are confusing. Death gives away the end of the story way before the end comes. But in the end you get the feeling that Zusak wanted it to be a little confusing. Holocaust Germany was confusing. So, while the narrator may not work the best as far as telling the story goes, it definitely works the best as far as telling the message of the story, giving the Holocaust atmosphere, and capturing the reader go. He’s taken a fairly set genre—the novel in prose—and blown it to pieces. He breaks almost every rule there is to telling a story, using proper punctuation and grammar, writing in paragraph format, etc. but all that breaking of convention really aides in the story-telling somehow. I can count on one hand the times a book has made me cry. This book made me cry at the end even though I already knew what was going to happen and how it was going to end. The narrator gave away the ending a fourth of the way through the book, and I still cried when I read that ending. Now that is good story-telling! 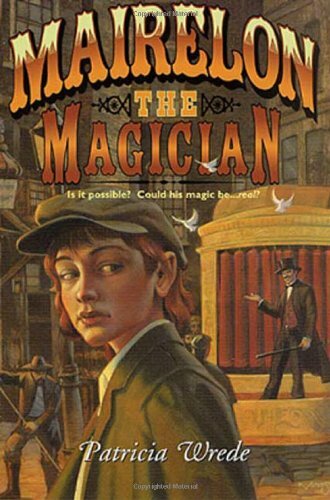 A thirteen-year-old professional thief living in the shady streets of late nineteenth-century England is hired to look for a metal dish in the wagon of a street-performing magician. Before you know it, she’s caught up in the shady adventures of a “toff” (backstreet slang for “gentleman”) who’s been framed by some pretty vindictive aristocrats. Mixing magic, mystery, and some great Cockney slang, the book is fast-paced and fun, and great for anyone above age ten. Patricia Wrede has a wonderful, witty sense of humor that keeps you laughing through each page. Girls are more likely to enjoy this novel since our main character is female, but some boys would probably enjoy it too, especially since the protagonist poses as a boy for most of the novel. The falling action and dénouement are definitely a little long. It almost seems like Wrede spends more time explaining the mystery’s solution than she does setting up the mystery to begin with. Having said that, this book is great fun and I would recommend it as a fun free-time read. 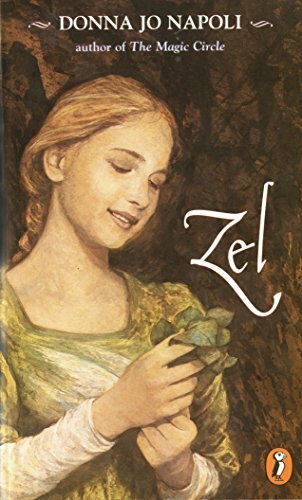 Zel is the re-telling of the classic fairytale Rapunzel. The story begins with a little girl and her mother making a special trip to town. You quickly find out that Zel doesn’t get to go to town very often. In fact, she doesn’t spend time away from her mother very often…or ever. She does really like animals and a special lettuce called rapunzel though. On this fateful trip to town she meets a boy. The boy plays the role of “prince” and proceeds to obsess over her for the remainder of the book. Eventually, you find out that Zel’s mother isn’t really her mother. Because the “mother” can’t stand to think that Zel could get married and leave her, she ends up locking Zel away in a tower using magical abilities for which she traded her soul to the devil. Zel spends months/years in the tower believing her “mother’s” story that she must stay in the tower because something terrible is out to get her. Eventually, she starts to go mad, which is really interesting since pieces of the tale are told from her point of view. The whole thing is very dramatic, especially since it’s entirely written in first person present tense. So, the story unfolds as if it’s actually happening. The disadvantage to this is that you really almost have to read it in one sitting. If you get out of the flow, it’s hard to get back in. She also switches narrators from character to character. Sometimes it’s the prince, sometimes it’s Zel, sometimes it’s the “mother.” Again, this makes it a little difficult to follow at times, but it also makes it very interesting because it’s almost like several re-tellings of the story in one. This re-telling really plays on mental and emotional energy. It’s almost depressing at points (i.e. when Zel goes psycho in the tower), but I wouldn’t label it as disturbing. However, while I wouldn’t recommend it for anyone under the age of thirteen, I think it’s definitely worth a read. 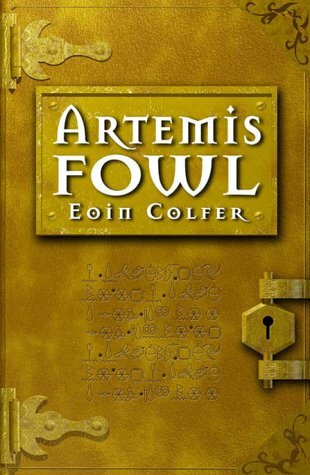 Twelve-year-old genius, Artemis Fowl, comes from a long line of Irish crime lords, and when his father disappears, he’s determined to fill the footsteps that have been left for him. Along with his highly-trained, militant body guard, Artemis cracks a complicated code to learn the rules and history of the fairy world. His twelve-year-old mentality gives him a unique viewpoint regarding those creatures humans assume to be make believe, so Artemis is the only crime lord who would dare to attempt the ultimate crime: stealing the legendary fairy gold. 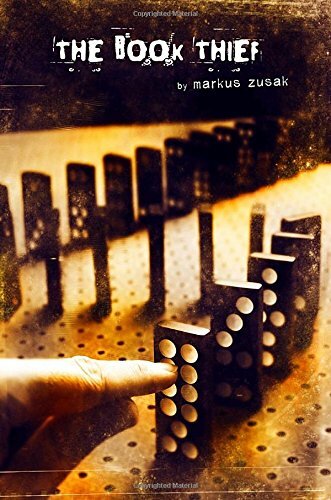 This short novel is cleverly written, fast-moving, and highly amusing. Perfect for reaching out to young pre-teen and teenage boys who are indifferent to the world of the printed word, the book is full of fast-paced action that keeps the pages turning. There is even a graphic novel of the Artemis Fowl story for those who are really anti-reading. The books are fairly popular in the post-Harry Potter young teenage reading world, and after you read one, it’s not hard to see why. I might consider using the novel in my classroom, but it does involve magic and folklore, so those who are anti-fantasy will not be impressed. Colin Singleton seeks a Eureka moment, some stupendous discovery to bring meaning and significance to his life. He used to be a prodigy, but now he's a recent high school graduate, and what means "gifted prodigy" at age 2 means simply "smart" at age 18. Not only that, but his girlfriend Katherine just dumped him. In his lifetime, Colin has dated 19 girls named Katherine and been dumped by every single one. Stuck in that between-time, between boy and man, between high school and college, and positively heartbroken, he goes on a road trip with his best and only friend, the ever-so-blunt Hassan. Somehow, the two end up in Carver County, Tennessee, in a little town called Gutshot. There they meet a kind girl named Lindsey Lee Wells, who defies all Colin's expectations of women and the world. In Gutshot, Colin eventually finds his Eureka moment, but it isn’t the mathematical revelation he was expecting. Instead it’s a personal breakthrough, the culmination to his journey of self-discovery. John Green is extremely witty, and I especially love the fun footnotes and endnotes he includes. He claims he’s not a mathematician, but he’s pretty convincing because getting caught up in the math is probably the biggest fault of the book. While the formulas and math are a big part of the book, and he weaves them in very cleverly, I still found myself skimming over lengthy mathematical explanations to just get on with the story. You can also tell that he’s had some experience with teenage romance, but he’s not condescending or supercilious as some authors can be regarding teenage love. He mocks, but at the same time takes his characters seriously. Overall, the book is very well done. Eleven-year-old Zoe dreams of giving piano recitals at Carnegie Hall. When her father purchases a Perfectone D-60, though, she must settle for the sounds of the organ rather than the distinguished sounds of a baby grand. Her organ teacher, Mabelline Person, notices the child's small talent for music and recommends her for the "Perfectone Perform-O-Rama"; she will play Neil Diamond's "Forever in Blue Jeans." Accepting this new twist to her ambitions, Zoe must depend on a quirky support system: her father, who gets anxious when he leaves the house and who earns diplomas from Living Room University; her workaholic mother; and her classmate Wheeler, who follows Zoe home from school daily to spend time with her father, baking. Playing television theme songs from the '60s and '70s rather than Bach doesn't get Zoe down. Instead, aware of the stark difference between her dream and her reality, she forges ahead and, as an underdog, faces the uncertainty of entering the competition. In the end, resilient and resourceful Zoe finds perfection in the most imperfect and unique situations, and she shines. The reading level is very low. I’d probably recommend this book for late elementary school as opposed to teenage years. However, there’s still something to be said to teenagers that lies in the message of this book. It’s about disillusionment and making the best of what you’ve got. Some dreams die hard, and some develop into new dreams that didn’t exist before—this message is important for everyone. I think teenagers, of all people, must learn to dream, but also must learn to let those dreams change with time and experience. For this reason, the book is good for any age. The witty dialogue, background thoughts of the main character, and fun diary-esque style make it a quick read and a great use of reading time. (Alysa's review here.) When the new math teacher embezzles most of the prom budget, a skeptical high school student from the wrong side of the tracks in Philadelphia must get over her doubts about the importance of prom and step up to make it happen. Dealing with an overzealous, pregnant mother, a large loud family, her best friend’s crazy Russian grandmother, a high school drop-out boyfriend, and school administrators who are out to get her makes the prom last on the priority list of Ashley Hannigan. In the end, Ashley must decide what aspects of her life are truly important as she becomes more and more involved in the high school prom. Anderson’s style is more of a Catcher In the Rye approach than is sometimes comfortable, but it fits her protagonist fairly well. Where most books with this sort of plotline would conclude with a prom’s-not-the-most-important-part-of-life message, this one does the opposite for a ghetto-raised, unambitious main character. I’m skeptical about the accuracy of the poor-life portrayed here, but points to the author for validating life in the hood the best way she could. She does a nice job of putting the reader in Ashley’s shoes and helping us understand the supposed thought process of the teen from the wrong side of the tracks. This book (and the others in the Calypso Chronicles) is completely frivolous fun for teenage girls. Most boys would never read again if you tried to make them read this, but for your average twelve or thirteen-year-old girl, it’s a great read. My personal favorite parts are the contemporary British slang (beware of some semi-inappropriate wording and implications) and the fencing matches. These books don’t really have much to them as far as morals, themes, symbolism, deep messages, or anything close to that, but if you’re trying to get a girl to like reading or you’re just looking for something completely frivolous and unintellectual, this is definitely what you’re looking for! Esperanza is jerked from the life of a privileged Mexican ranch owner’s daughter and transplanted into the life of a destitute migrant worker in California. She has to learn to stop longing for a life of easy privilege and start learning to live in discomfort and work like she never has before. When her mother becomes very ill, it’s up to Esperanza to earn money to bring her grandmother to the United States. Unrest among the Mexican migrant workers, especially those who are not satisfied with their working conditions, brings on even more issues for young Esperanza to deal with. Esperanza Rising is a coming of age experience like no other. I think of this book as a kind of bubble gum version of Steinbeck’s Grapes of Wrath. Esperanza Rising achieves the same feeling and messages without the uncomfortable swearing and semi-inappropriate situations of Steinbeck origins. Perfect for grades six to eight, I think this book can be used to explore Mexican immigration issues in our day as well as the classic coming of age experience. It isn’t a horribly high reading difficulty level, but the issues and themes are well-developed and deep. I recommend it for teaching as well as reading for fun.